We had a few weeks of fairly nice weather, but it looks like those days are now (for the most part) gone. As temperatures steadily drop now and throughout winter, we’ll be relying more and more on our heating systems to keepus comfortable. But this winter is supposed to see a lot of snow and ice, which could put the power out. If you have a backup generator, this isn’t an issue for you—that is, as long as it’s in good working order. 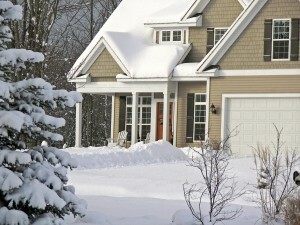 When winter storms hit, you want to know your backup generator will keep your lights and heat on. Is your backup generator in good working order? You should be checking that now, before bad winter weather hits. Finding out the generator is not working in the middle of a snow storm is one scenario no one wants to experience, especially when temperatures are potentially in the ‘teens. Here’s a guide to checking on your backup generator for peace of mind this winter. Backup generators are a wonderful source of power in emergencies, but like any system, things can go wrong. Even if it hasn’t been used in a while, it could require service or maintenance. For instance, batteries may need to be replaced, or it could be throwing an error code. If you find your backup generator is not working, and/or showing an error, you want to schedule a repair ASAP. Many times, they can be fixed and ready to work in no time, but the longer you wait the higher the risk of being left in the dark this winter. You should also be checking the light color (if applicable). If it’s yellow, this most likely isn’t an issue, but make sure you read what the message says to make sure there isn’t a problem. If it’s red, there is definitely a problem and you need to schedule a repair. A green light means you are all set and everything is normal! Error codes are generally descriptive, such as LOW OIL, OVERCRANK, OVER SPEED, etc. This gives you an idea of what the issue may be, if there is one. Some of these codes do not require repairs, and can be cleared with a reset of the machine. TriStar has helpful information on error codes, resetting your backup generator, and more of what to look for this fall to make sure your system is working as it should. Click here to review this information. Want Further Peace of Mind? Tri-Star supplies and installs a monitoring system called Mobile Link. These systems send alerts about your backup generator to your cell phone, computer (or other device), so if anything changes in the status of your generator, you’re notified immediately. Learn more about Mobile Link and how it can benefit you. Need Backup Generator Repairs? Call TriStar Electric! If you have any questions about your backup generator, please contact TriStar Electric, Maryland’s premier residential and commercial electrician, by calling 410-799-5791 or 301-384-8880 or fill out the contact form on our website. This entry was posted on Wednesday, November 18th, 2015 at 4:35 am. Both comments and pings are currently closed.